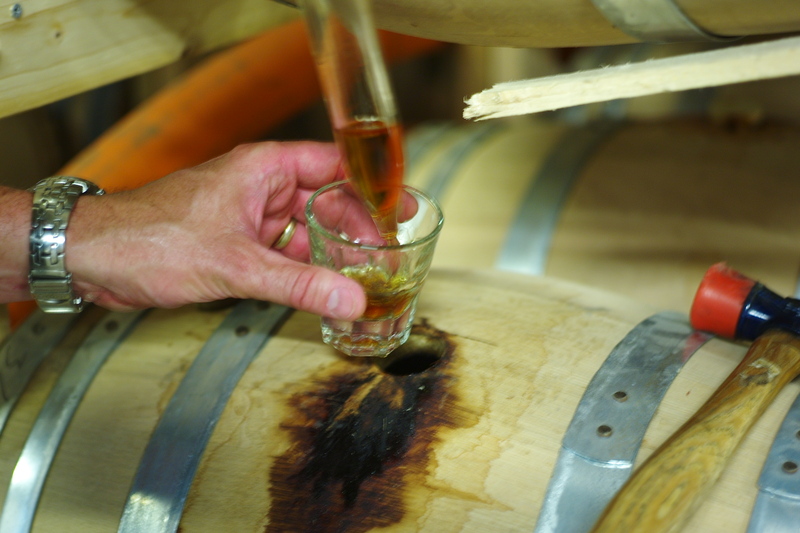 There is something extrememly passionate about tasting Rye Whiskey out of a thief directly out of a small cask of Rye Whiskey. Perhaps the aroma is what catches you off-guard immediately. There is a magical aroma of Rye Whiskey. I have gone on record to say that Rye Whiskey is a vestige of another era. It's what our grandparents drank. They would wash down over-stuffed sandwiches of Corned Beef on Rye Bread (seeded of course) with tall glasses of Rye Whiskey. They know something about flavor. The same holds true today. 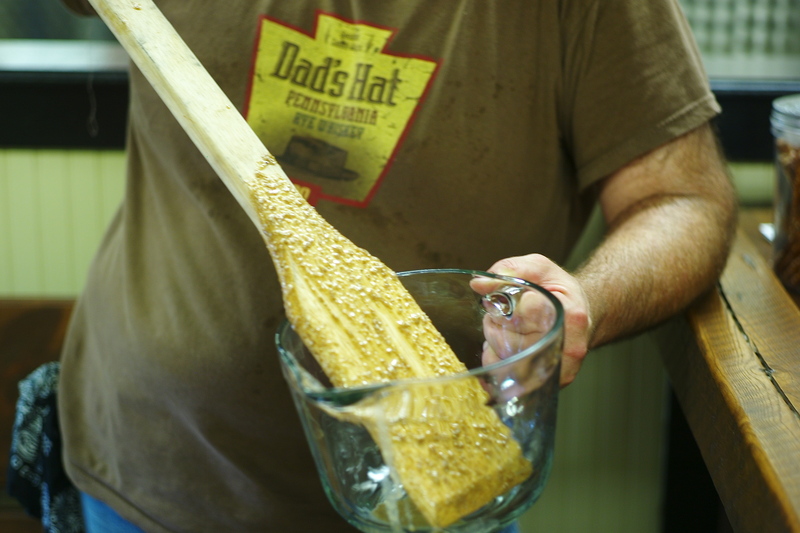 Dad's Hat Rye Whiskey is made with care and passion. The owners, Herman Mihalich and John Cooper met while students at University of Pennsylvania. 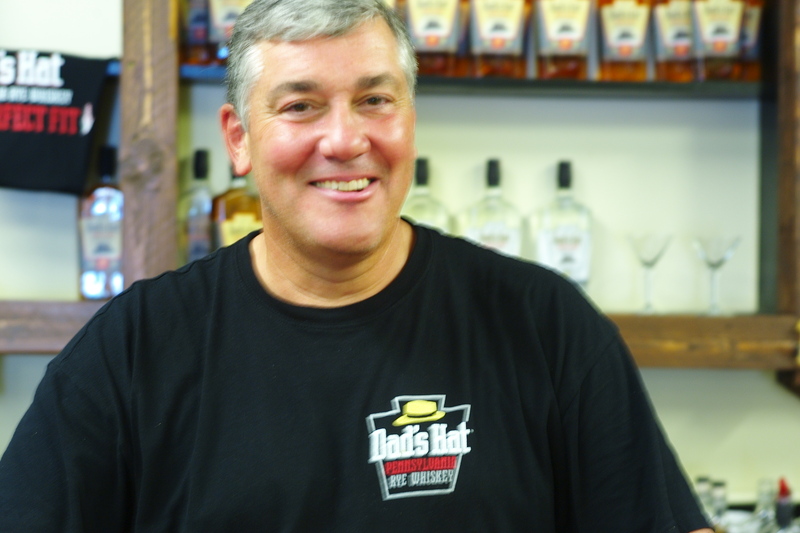 Their career paths took different directions, but when they were able, they established Dad's Hat Rye Whiskey for their father's memory. They channeled the spirits of their fathers into each passionate sip of their extremely expressive Rye leads you into a liquid driven trip down flavor memory lane. Sitting in my hand right now is the creamy white Rye Whiskey. Drawn off the still and cut down to 100 proof, this is gorgeous stuff. I see a white mint julep in this bottle's future. White Rye, Coconut Water Ice, Freshly scraped Nutmeg and Kentucky Colonel Mint. Gorgeous, expressive and passionate liquor. Fresh as a sudden rain in the Summer heat. I'm going out on a limb to say that this Whiskey is as good as it gets. The aged Rye Whiskey is no less passionate. We tasted through several expressions from each single barrel. Lush, sensual and tinged with the sharpness of Asian spices and cinnamon stick the kick of the 90 proof spirits draws you into your grandpappy's favorite slurp. Crisp, aromatic and very satisfying, I liked the single barrel versions the best. Sure, they're not ready yet, more time is needed to bring these spirits into shape for the future, but if you let them rest a while on your tongue, they reveal themselves as liquid history lessons. Mountain Laurel Spirits sits in a massive complex of ancient mill buildings on the outskirts of Philadelphia. Bristol to be exact. John and Herman both have their strengths. John for his blending ability and that of manning the bar shorn in wood built from the unpacking of the distillation equipment. This wood was handcut in Germany (old growth wood staves) and fitted into perfect bead board. Each column still came from Germany packed in the makings of the bar! This old mill building is stout against the ravages of time. 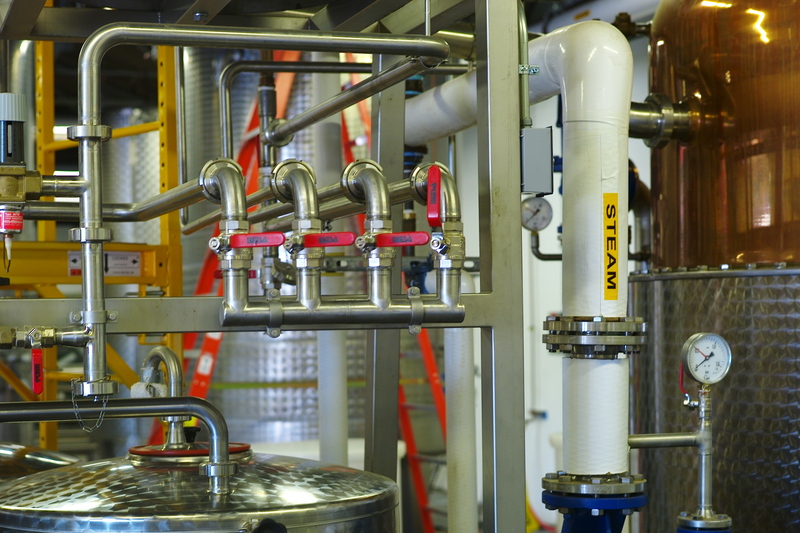 30 foot ceilings and floor to ceiling aging areas create micro-climates perfect for the aging of Rye Whiskey. These men have a passion that I've very rarely seen in this industry. They desire slow aging over fast and passion over speed. Sure they can make more Whiskey than is necessary, but they'd rather make quality Whiskey over rot-gut. I'm going to say that their aged Rye is some of the best Rye Whiskey I have ever tasted. But what makes it so good? Is it the size of the barrels? 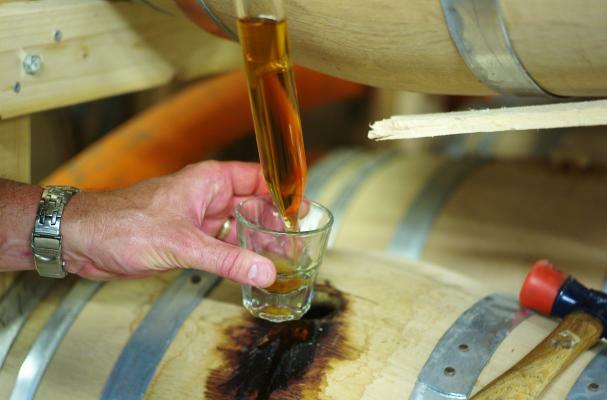 Or perhaps the fine Lancaster County Rye (local) to the distillery? I'm not sure. But as modern alchemists John and Herman truly weave straw into gold. Their Whiskey is world class. Certainly some of the best I've ever tasted anywhere. Absolutely as expressive as the luscious Manhattan Rye Whiskey from Tuthilltown, which is, one of the best Rye Whiskies in the world. I'm thrilled to be their friend and able to spread the gospel of their thickly seasoned Rye Whiskey. The dark Rye is a melange of citrus peels, Asian Spices, Anson Mills hand ground grits and pure spring water. Very little is done to this Whiskey to make it the most sumptuous slurp of liquid history. John was born to a stone mason, hard work is not lost to him. 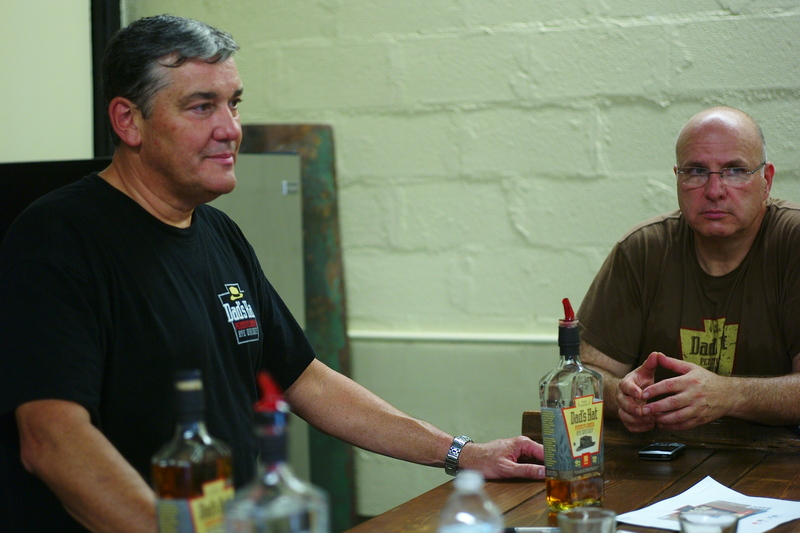 When it comes to blending, John's palate is second to none. 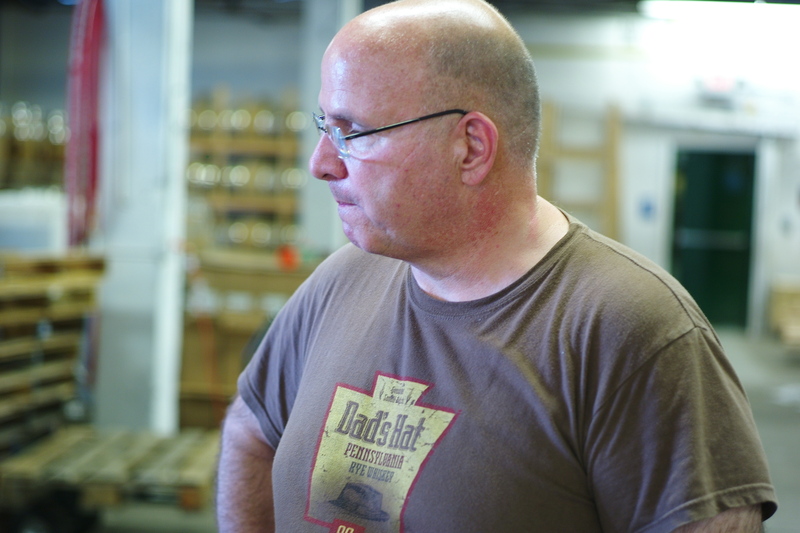 Herman on the other hand is the distiller, his father was born into a barkeep family. From the Cat Bird Seat, using CARL of Germany equipment, Herman is the organic chemist personified. I will say that his single barrel Rye is world class if not the world's best Rye Whiskey. There is nothing that I've tasted that speaks so clearly of the Terroir. As I sit in my office thinking about the expressive aromatics and the dry, crisp finish that goes on and on, I'm called to task over the true depth of flavor of these spirits. One is drawn directly off the still with powerful, lusty aromas. The other a blend of Whiskies. All different years. Magically blended to become something otherworldly. Truly bold and intriguing. You could say that I'm a BIG FAN. It's said that the most expressive Whiskies come straight from the cast and Dad's Hat is no exception. Straight out of the oak is a thing of magic! 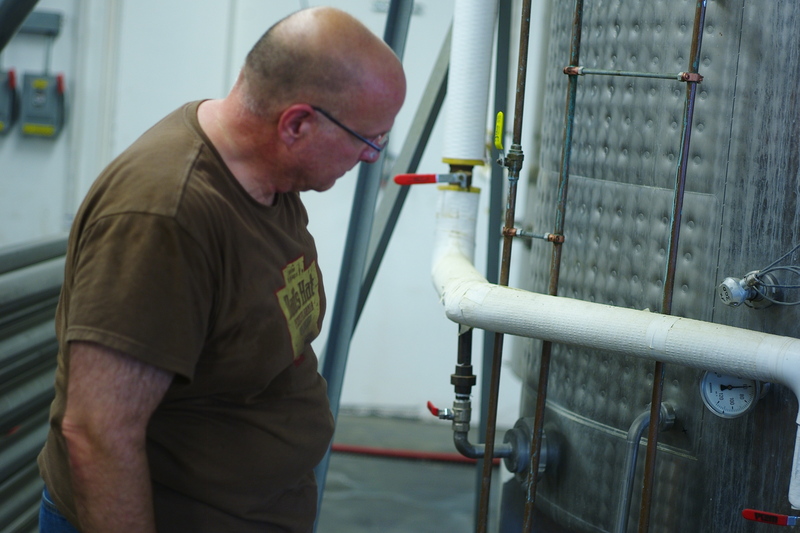 I'm often touched to learn the real stories about passionate distillers. 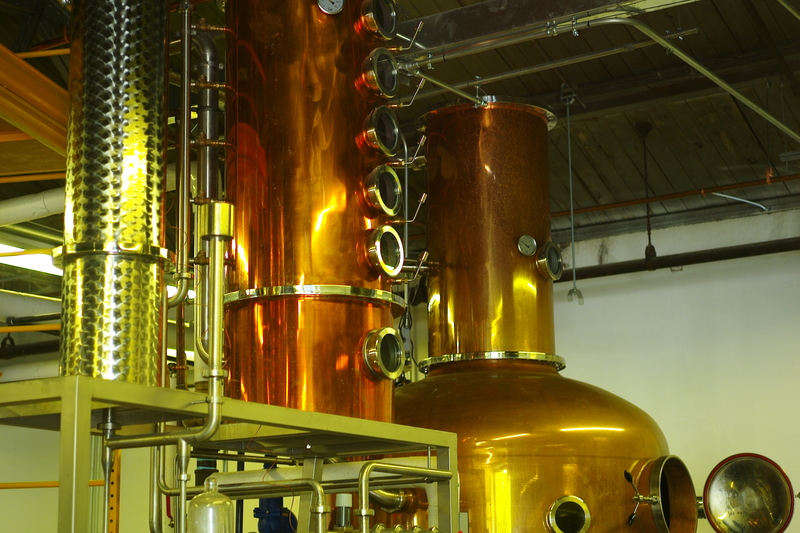 Herman and John both approached Michigan State University to unlock the secrets of making Whiskey. This is damned good Whiskey. I'm impressed. I'm going to say that this Whiskey is some of the best I've ever tasted. If you're lucky enough to score a couple of bottles do so. You'll see what I mean. I'm hoping they get picked up by my friends at Caskers. It's that good. I think they have done rather well. This is truly alchemy at work here. Liquid History Lessons. Sip by sip. I'm still feeling no pain after several hours of drinking good old H20 and remembering the flavors unlocked in every sip. 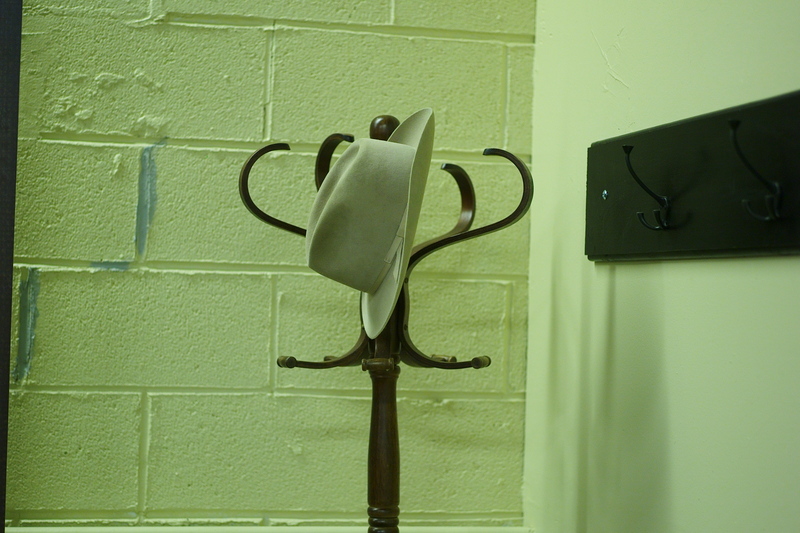 And it all goes back to Dad's Hat. Rye Whiskey. Made with love and passion. Sure there are many Rye Whiskies on the market. These caught my eye and my taste buds. Add a squeeze or two of freshly cut orange or lemon (or both!) you can grill the hunks first. I like to do that. It's different. Add some ice (you should make your ice using water filtered through the German Mavea water pitcher.. I do! Also available at Williams-Sonoma stores. Rot gut, not rock gut.